Attack 1 : Slender Man IS REAL!!! Once this unit appears in your field, retire all your opponent's unit. 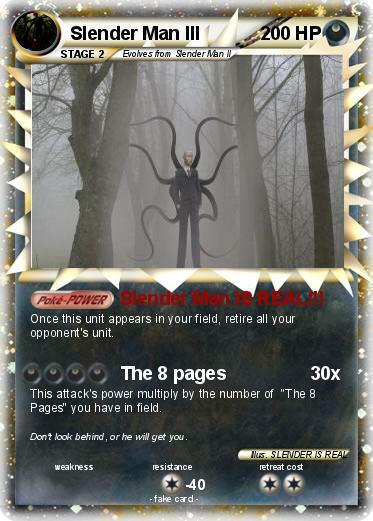 This attack's power multiply by the number of "The 8 Pages" you have in field. Comments : Don't look behind, or he will get you.